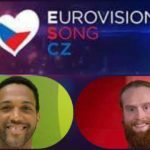 As we already know, Austria chose this year’s representative at ESC 2018 by direct assignment and, on December 5 2017, gave the 34-year-old Cesár Sampson the opportunity to represent the country in this year’s Eurovision contest with “Nobody But You” . We remind you that the Austrian Broadcaster, ORF, announced Cesár Sampson as the Austrian entrant at the Eurovision Song Contest 2018 during the Ö3-Wecker radio show, aired on Ö3. We also know that Boris Milanov and Sebastian Arman have written the Austrian entry for 2018 (they have been behind multiple Eurovision entries including Bulgarian entries in 2011, 2016 and 2017). What we expected, after all, was the release of the song, and a while ago, we also found out ths detail. Austria’s entry for Eurovision 2018, “Nobody But You”, will be released in the first week of March. 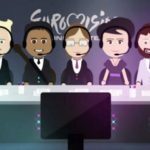 Ö3 presenter Eberhart Forcher revealed that Austria’s entry to Eurovision Song Contest 2018 in Lisbon will be ready and will be revealed in the first week of March. Cesár Sampson was in Portugal last week to videotape his postcard and at the same time he feverishly works for his song for the contest in May. While shooting for the official music video clip has not yet begun. Cesar Sampson was born in Linz, Austria, on August 8, 1983. He worked for many years as a social worker. In the music industry, he was part of the Symphonix International and Electric Church Church. At the age of seventeen, he began touring with some of Austria’s most internationally recognized alternative musical acts (Kruder & Dorfmeister, Sofa Surfers, Louie Austen). After that, he worked mainly from the backstage of the music business, as a songwriter, lyricist and vocal producer in various international productions. As a member of Symphonix International, he was a member of the Vienna Producer Group, which leads Bulgaria to its fourth and second place in the Eurovision Song Contest in 2016 and 2017 respectively.So, Eurovision is not an unknown field for Cesár Sampson.He has also revealed that his beloved entry to Eurovision is Jamala’s 1944 and beloved Austrian entry is the winner of 2014, Rise Like a Phoenix by Conchita Wurst. « Portugal: Snippets of the First semi final songs.